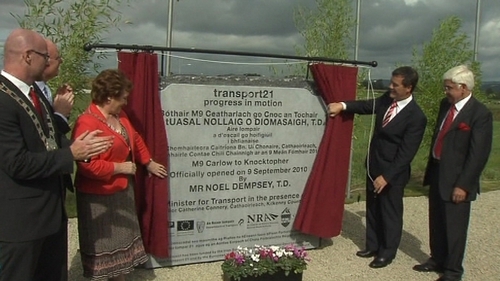 The final 40km section of the M9 Dublin to Waterford motorway, from Carlow to Knocktopher, has opened. The new section cost €467m and was completed three months ahead of schedule. The road is expected to take 30 minutes off people's journey time from the M50 to Waterford City. The road bypasses Kilkenny, as well as towns and villages such as Stoneyford, Knocktopher, Paulstown, Gowran, Dungarvan and Thomastown.